You have the option to either maintain the Standard file format or convert the .es2 file the Professional version. 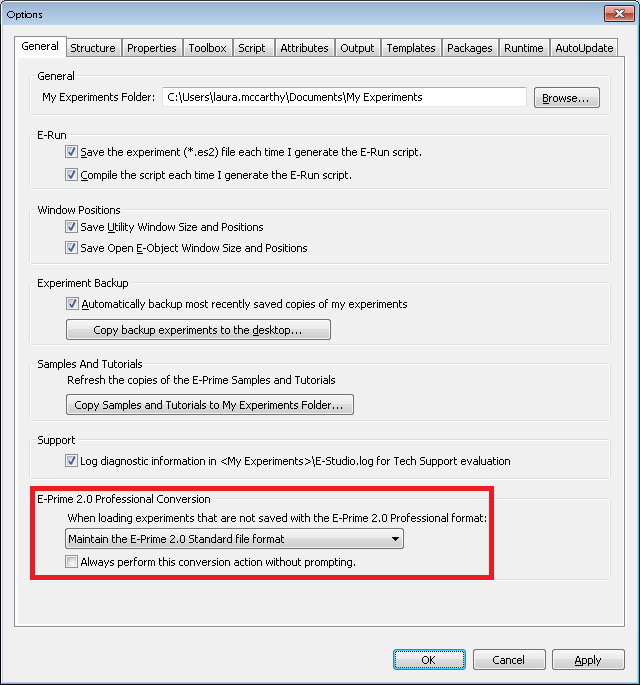 NOTE: Once converted to the Professional file format, the file cannot switch back to the Standard file format. 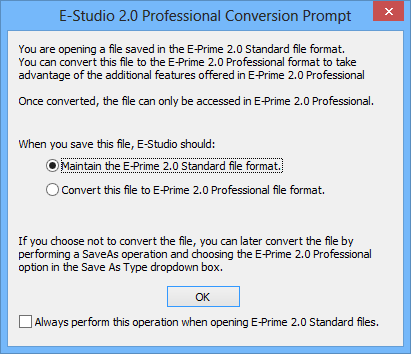 If this prompt does not appear or if you wish to create a default setting for opening experiments of different editions and disable the prompt, go to Tools > Options and adjust the settings in the E-Prime 2.0 Professional Conversion section.